The level of injustice in the world is staggering. The Church needs to respond. International Justice Mission has rescued thousands of people from oppression and violence. IJM also partners with thousands of churches to hep them live out the mandate of Isaiah 1:17 to seek justice, rescue the oppressed and care form orphans and widows. Christians need to be equipped and mobilized to be the hands and feet of Jesus to those who are vulnerable and oppressed. 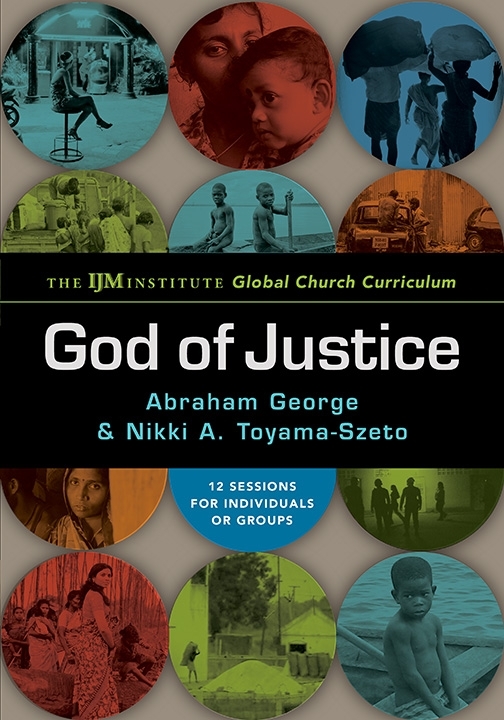 God of Justice is a twelve-session, discussion-based curriculum that explores the biblical narrative of justice throughout the whole of Scripture, from Genesis to Revelation. Through the participatory study of Scripture, Christians can explore God's call to engage in bringing about justice on earth. 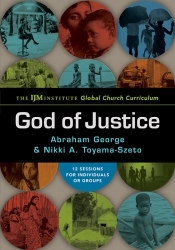 Throughout the course of study, participants will come to a deeper knowledge and understanding of biblical justice and will draw personal application for the pursuit of justice ministry in their individual lives and the wider church. Prepare to have your heart and mind engaged, to be instructed by Scripture and challenged by real-life stories of people freed by the God of justice. This curriculum can help you and your church bring freedom, restorations and reconciliation to those in need. Discover how God reveals himself to those who join him on his justice journey! "Toyama-Szeto and George have built a formative resource for the global church. Deep passion and robust scholarship combine to form compelling insights for a sustained engagement in justice. An essential tool for churches desiring to bring freedom and restoration for the vulnerable." -Gary A. Haugen , President, International Justice Mission.